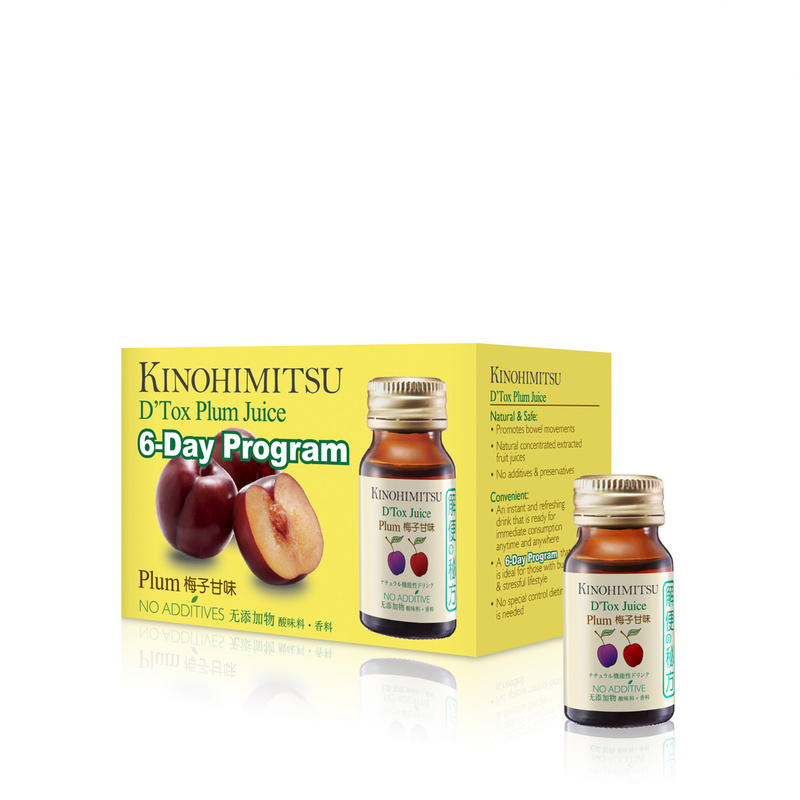 Kinohimitsu Detox Juice is a six-day program, and can flush out toxins from your bowel within just 2-4 hours, without disrupting your daily life. Feel renewed, refreshed and revitalized in just 6 days! Containing absolutely no additives, and high concentrations of dietary fiber which increases the beneficial cultures in the digestive track and helps to fortify your body's defences. - Cleanses the colon and removes mucoid plague. - Flushes out toxins from the body within 2 to 4 hours. - Relieves constipation and maintains general health. - Suitable remedy for poor digestion, stomach bloating, weight issues, blemishes, bad breath and body odour.